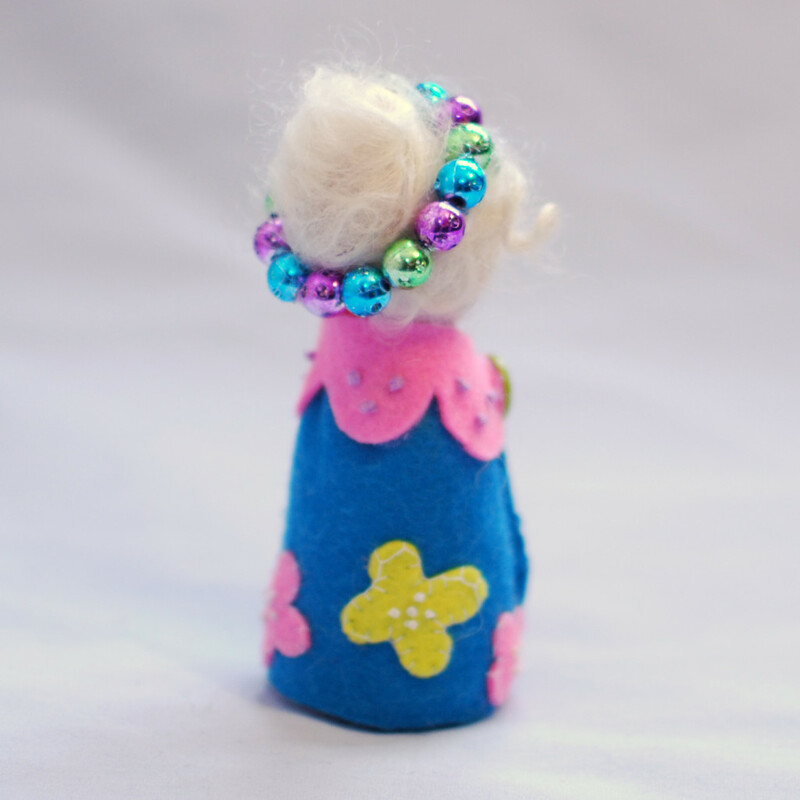 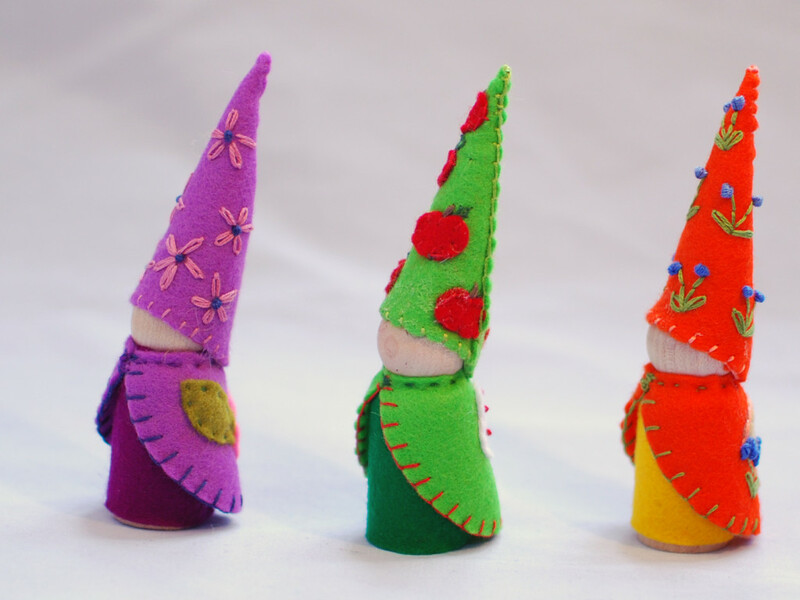 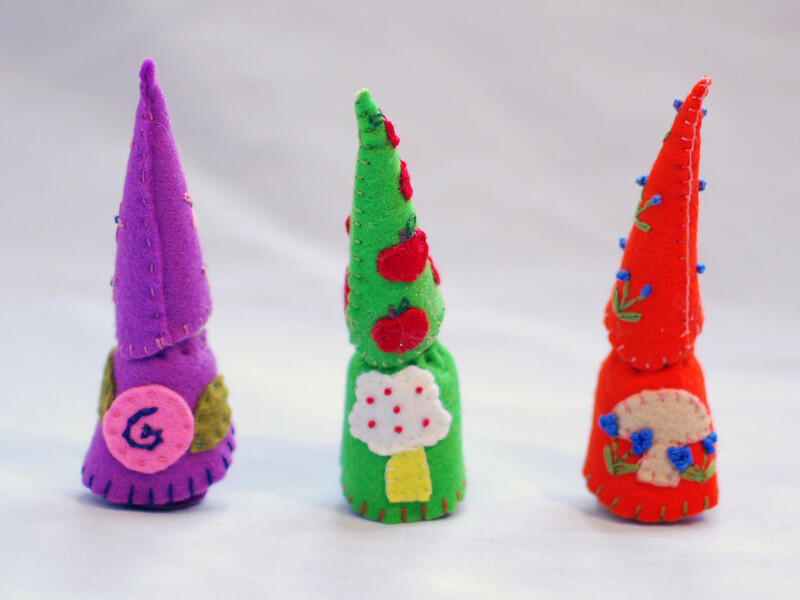 Some colorful peg dolls 5″ high. 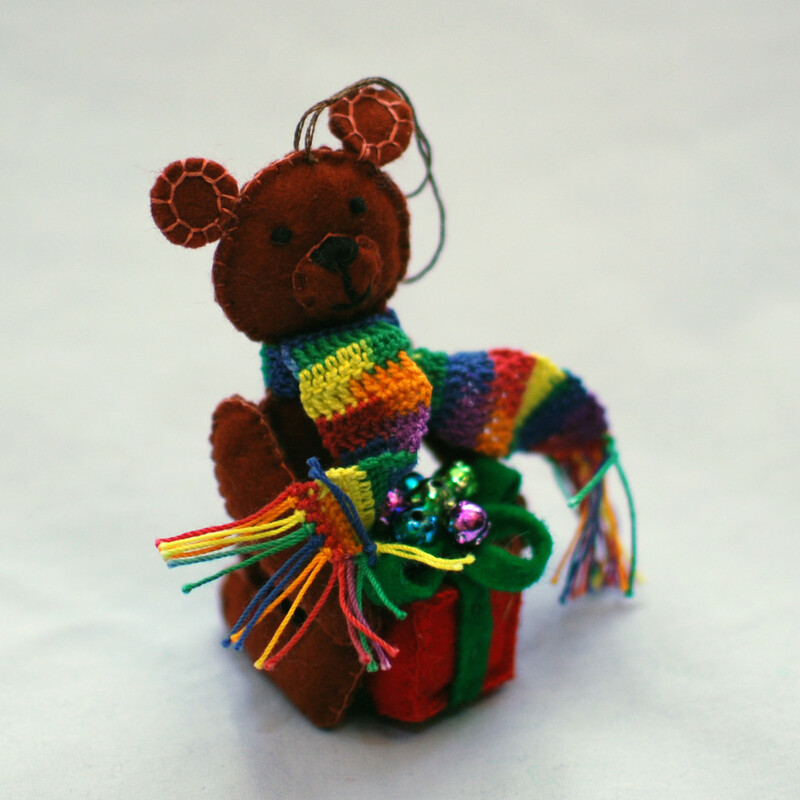 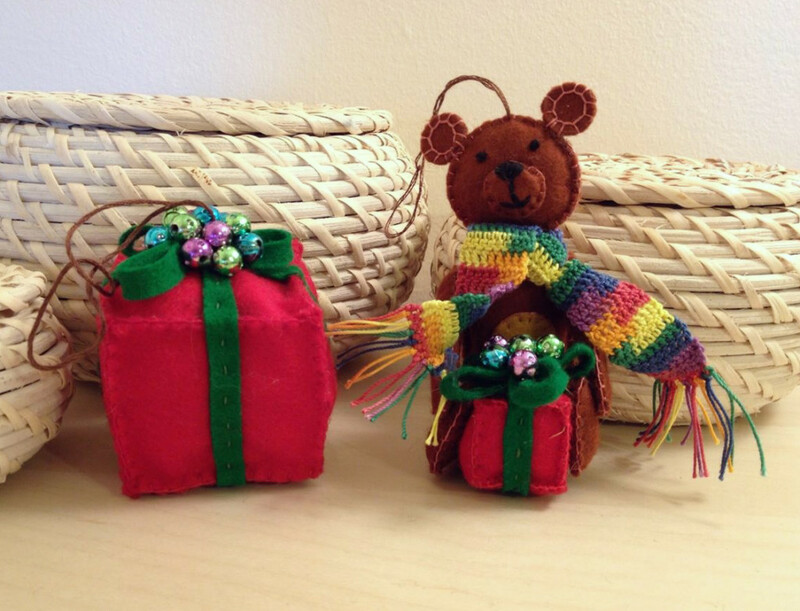 Here are a couple of ornaments – a little bear with a gift box, and a larger matching gift box. 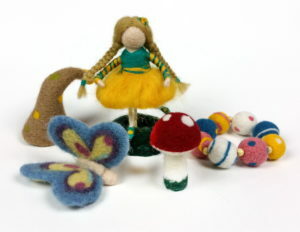 All 100% natural wool felt. 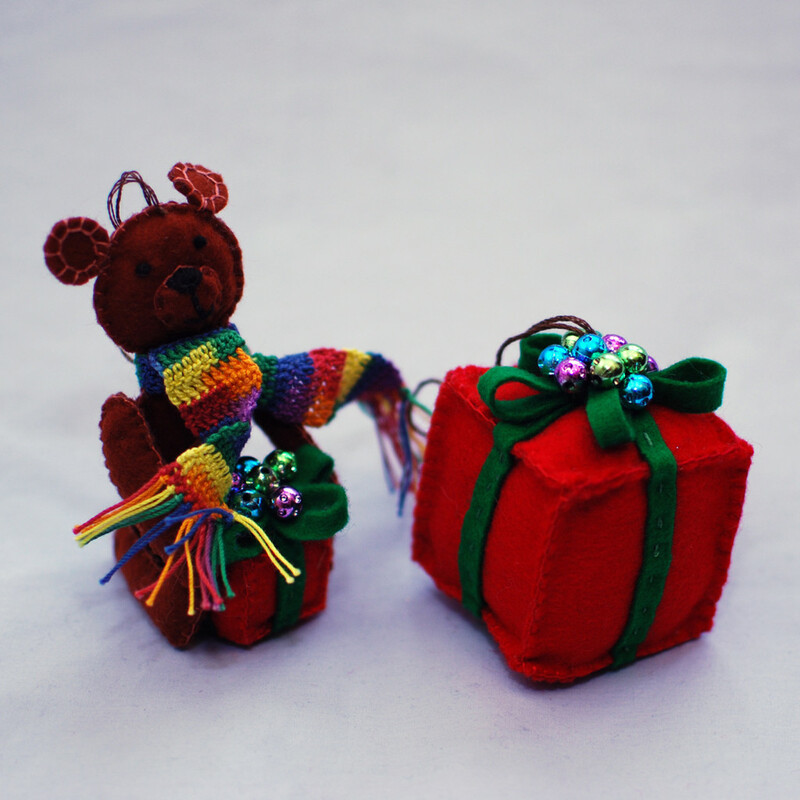 The height of the bear is about 4″. 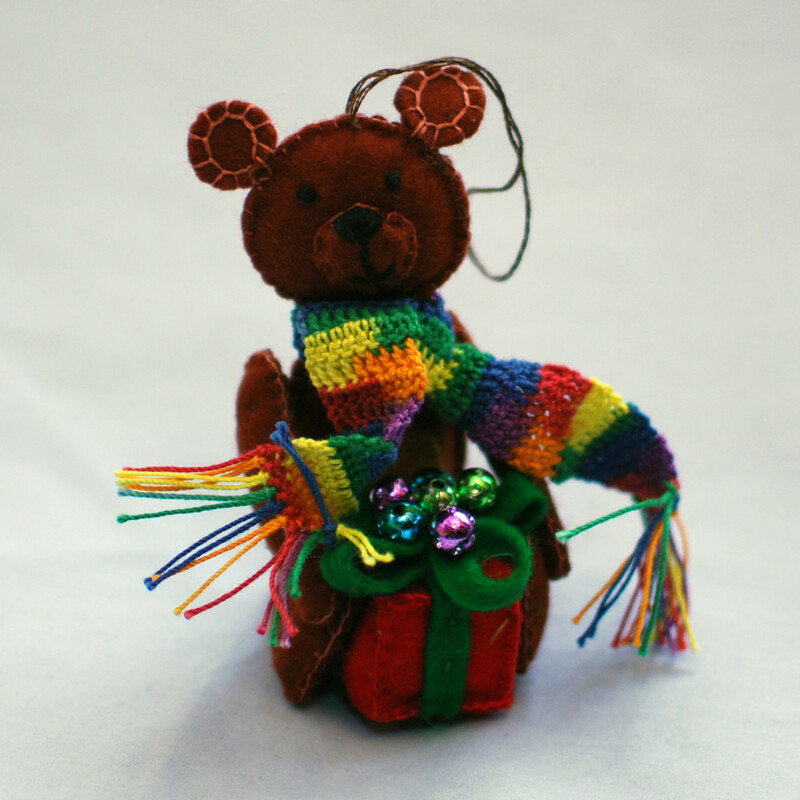 I’ve also crocheted a little scarf for the bear. 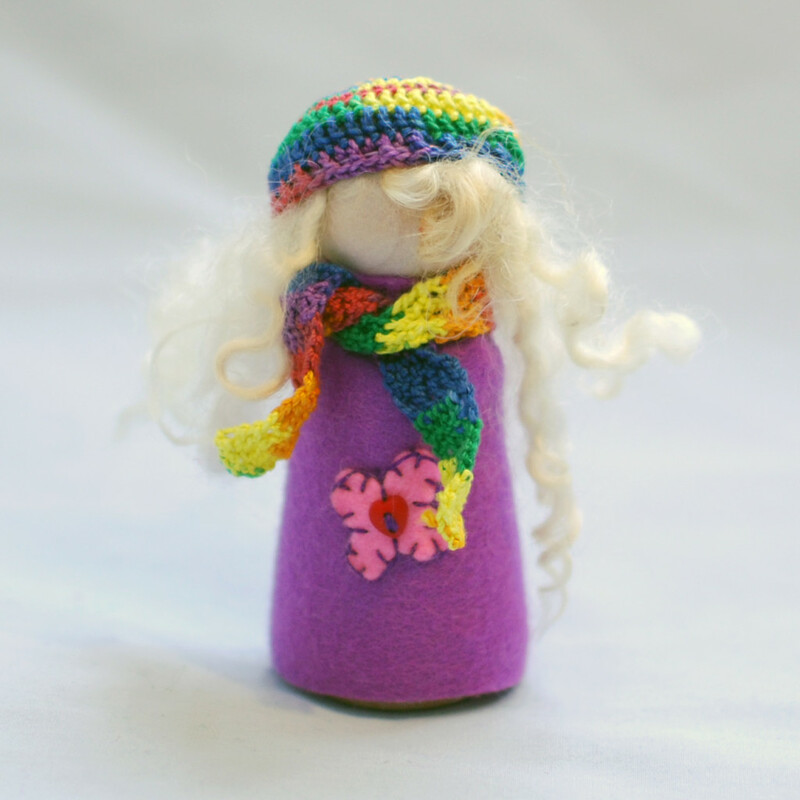 Peg dolls – ladies. 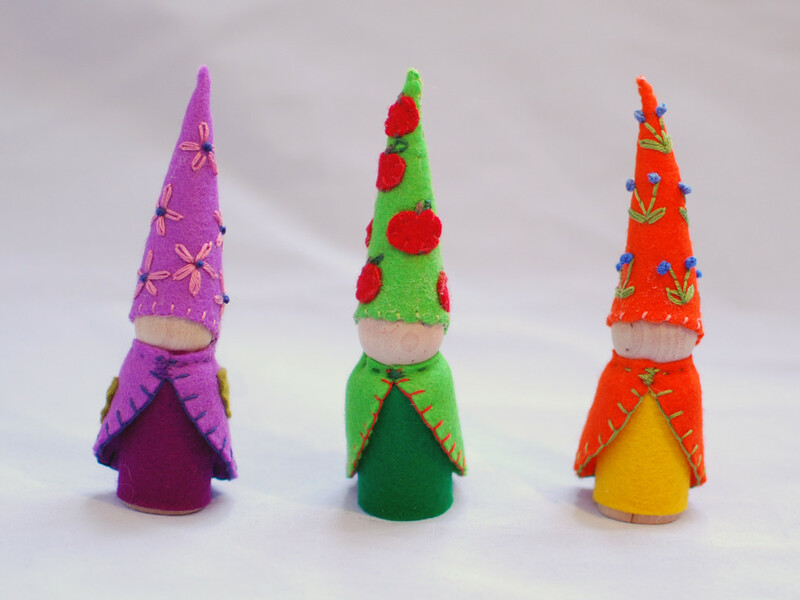 These dolls are about 4″ high. 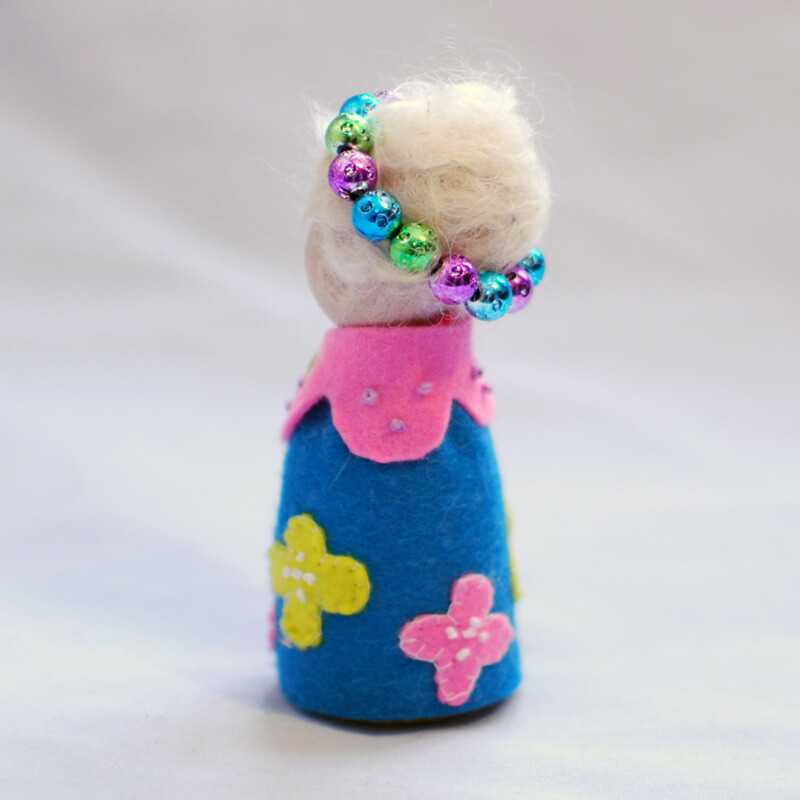 I’ve used some hot glue and beads on them as well. 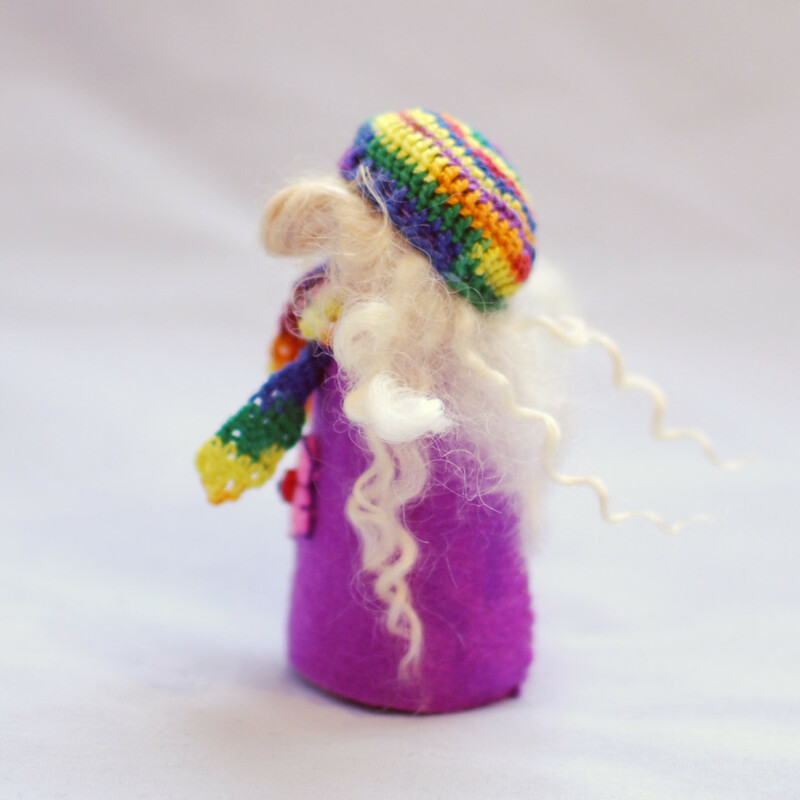 And I’ve crocheted a little scarf and a hat. 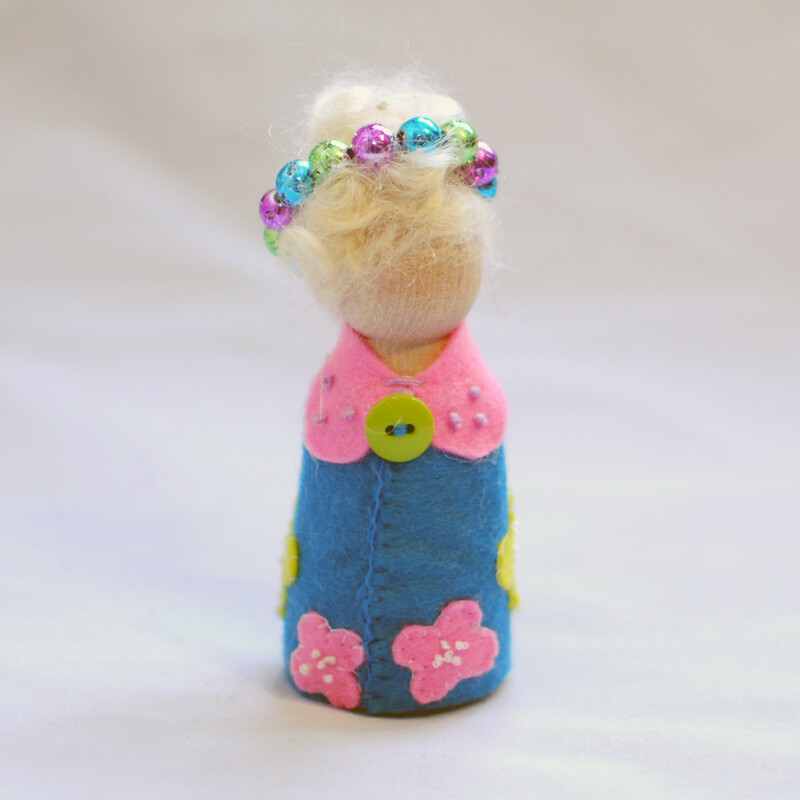 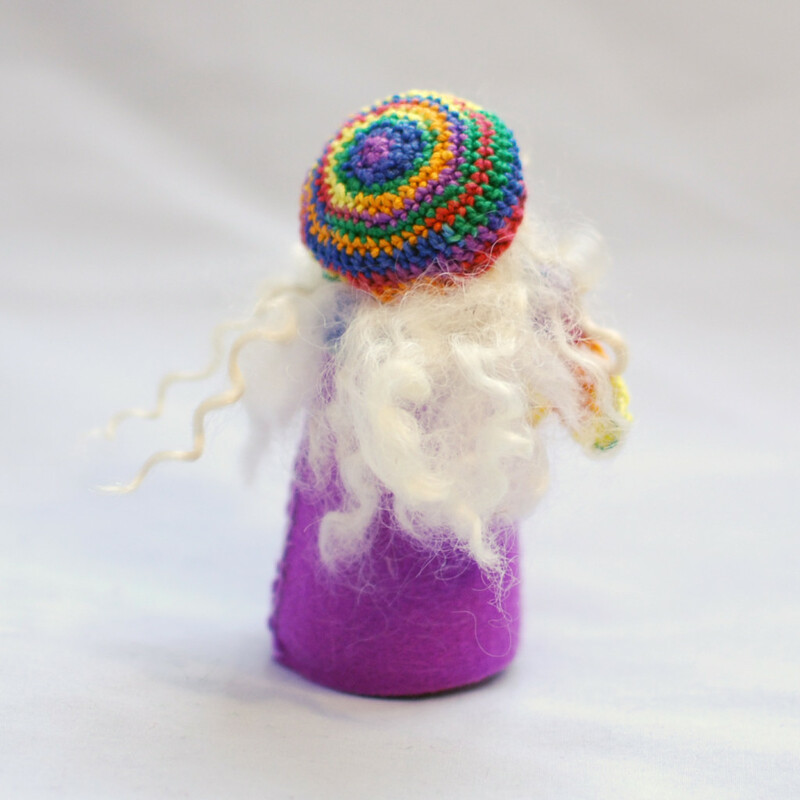 The hair and dresses are 100% natural wool. 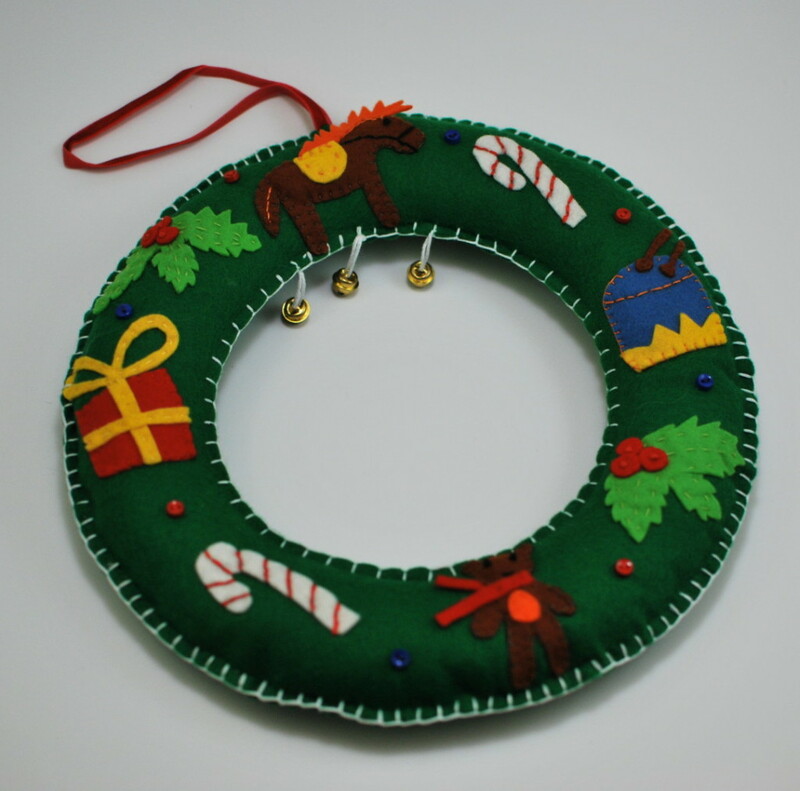 Christmas wreath from 100% natural wool felt. 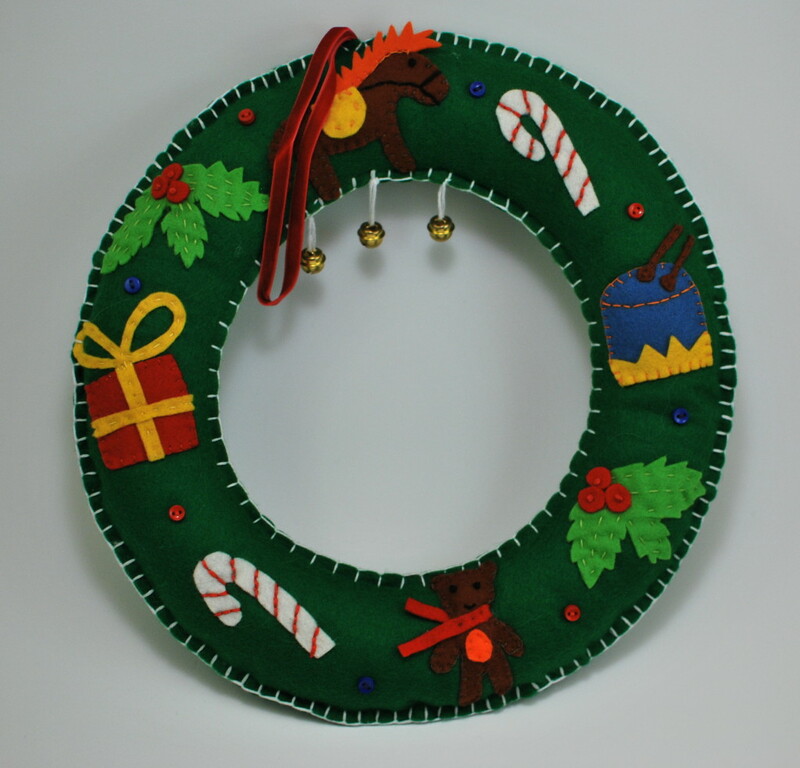 The wreath is about 15″ in diameter. 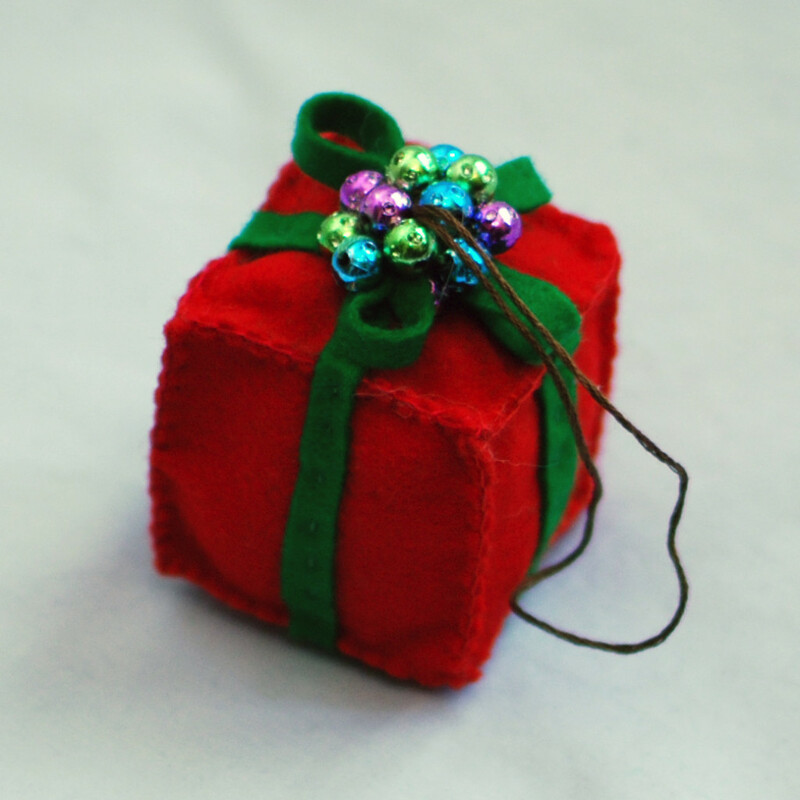 It is one sided, has solid green on the back.